One of the most striking objects in our exhibition at MShed is a large red flag with ‘Laetus Sorte Mea’ written at the top. This is a modern object, made by artist Debby Bird, with patches contributed in our banner workshop earlier this year by a group of volunteers. It reflects some of the lost objects of the Guild, which carried the Latin motto and the crutch crossed with a sword as the Guild’s ‘logo’. 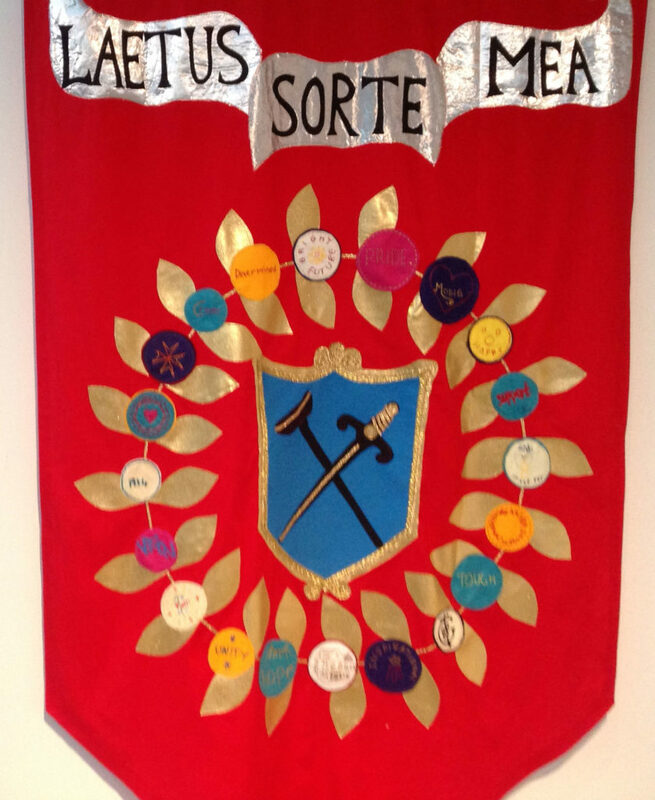 Laetus Sorte Mea means ‘happy in my lot’ and reflects the positive image the Guild wanted to project. The workshop allowed conversations to develop around imagery, language and disability issues, and how these can be presented. 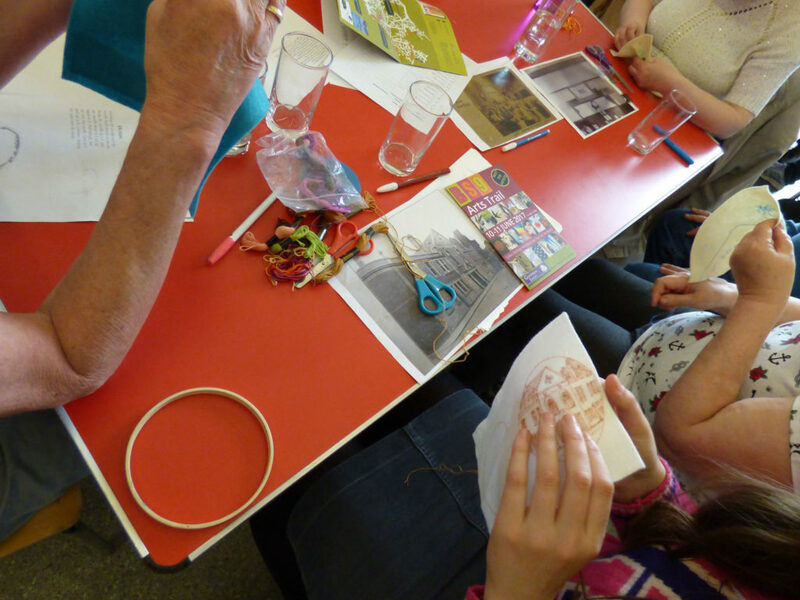 Becca sews an elaborate image of the Guild’s landmark Bristol building. Circling the central sword and crutch motif anre tiny embroidered circles with images and words reflecting modern reactions to the Guild. Becca created this very intricate picture of the Guild’s iconic building. A basket made in the 1940s by William Chapman, a student at the Bristol School of Industry for the Blind. Craft is also entwined in the Guild’s history. Very often Guild members were helped to learn a trade which enabled them to support themselves. 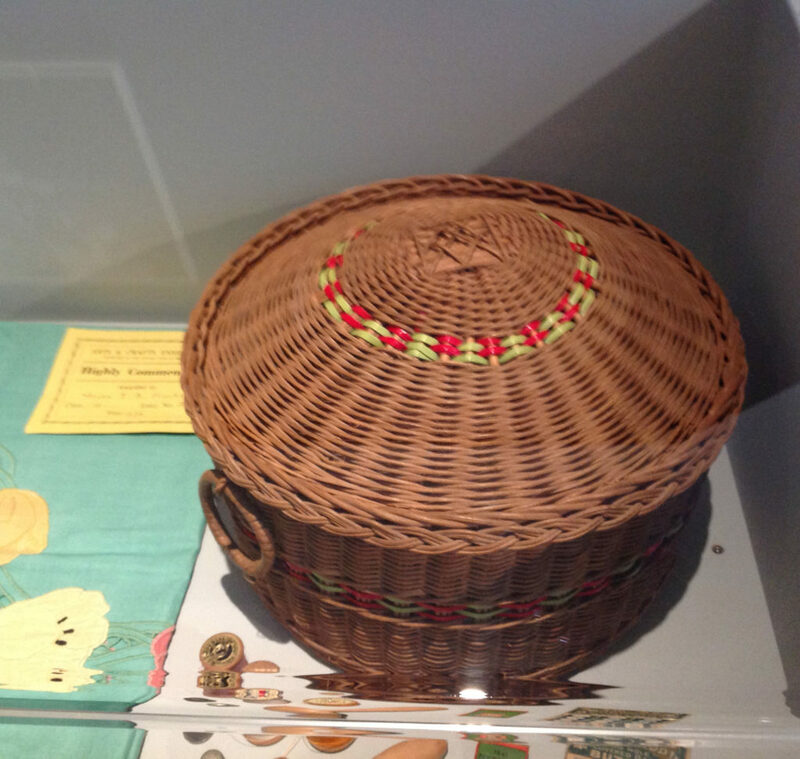 The exhibition gives many instances of the skills learned and things created – this basket from the 1940s being one example.